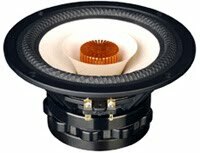 Tang Band Speakers has announced four new fullrange speaker drivers which will be added to their growing lineup of drivers. The new paper fullrange drivers are sized at 3" ,4" ,5" and 6". 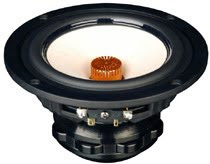 The drivers appear very similar to the 8" Tang Band W8-1772B and W8-1808B fullrange drivers in that they all feature a die cast frame an underhung motor design with a multiple-element neodymium magnet system. 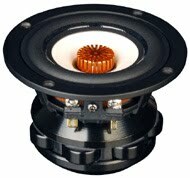 Instead of a cloth half-roll surround the new drivers use a rubber surround. 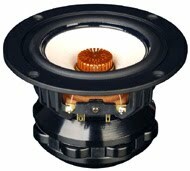 The Xmax of the fullrange drivers is a healthy 4mm for the 3" unit and 5mm for the 4", 5" and 6" drivers. A unique looking phase plug is used to prevent phase cancellations and improve high frequency extension and dispersion. There is no indication on pricing or when the drivers will be available.